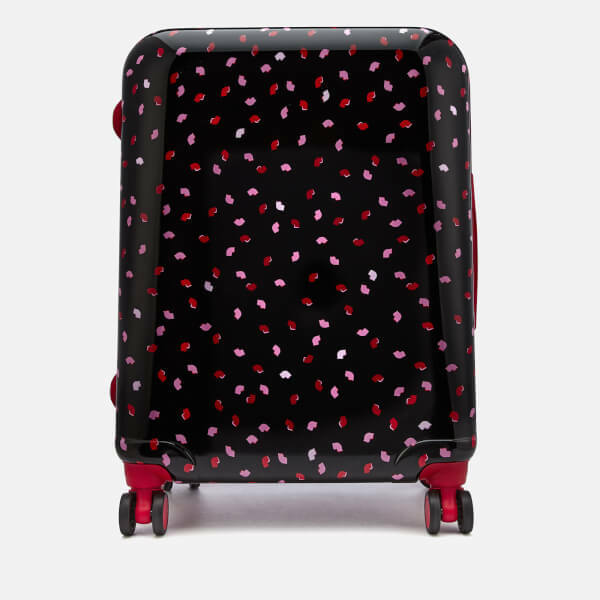 Women's printed suitcase from Lulu Guinness with smooth, impact-resistant shell. 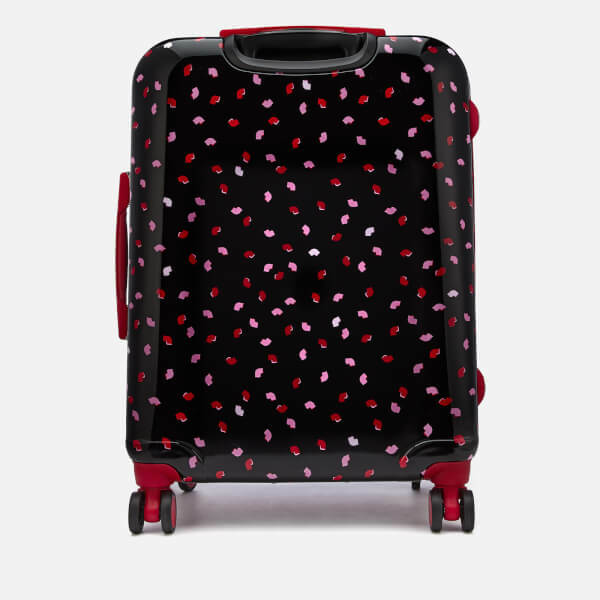 Crafted from MAKROLON® Polycarbonate, the travel case is adorned with a repeat 'Confetti Lip' print and features four, 360-degree spinner wheels for complete range of motion on-the-move. 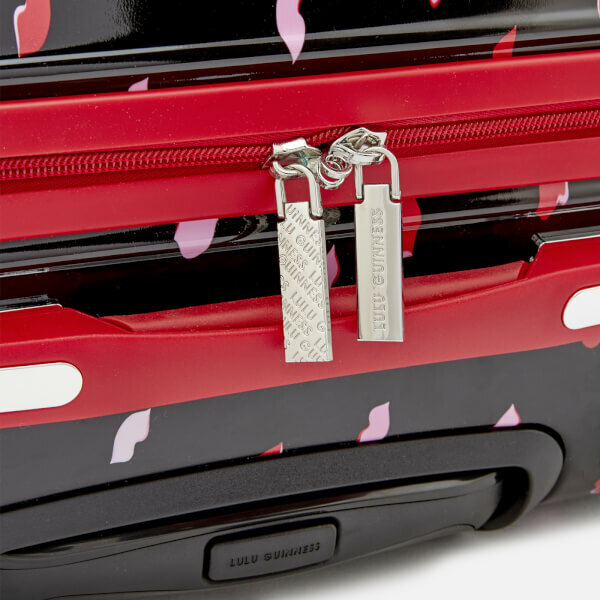 Features a high shine trolley handle with push-release button for easy pulling. 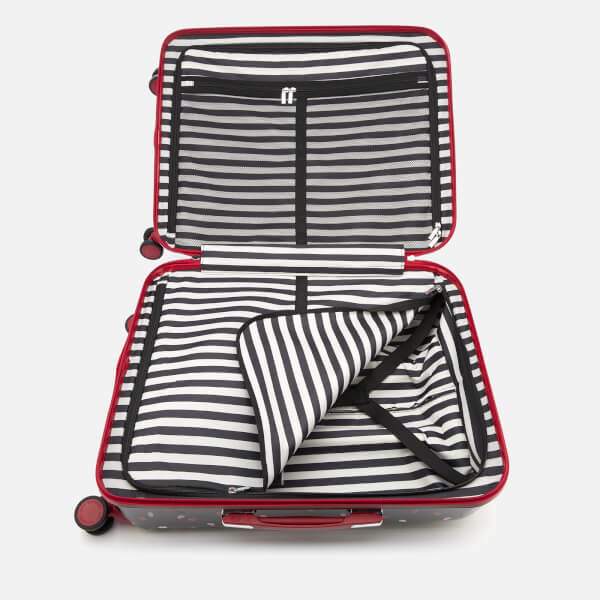 Within, the black and white striped interior offers ample storage space with multiple zipped compartments, large mesh pocket and three removable drawstring pouches. Finished with signature Lulu Guinness zip pulls. Dimensions: H: 69cm x W: 46cm x D: 26cm. Weight: 0.38kg.